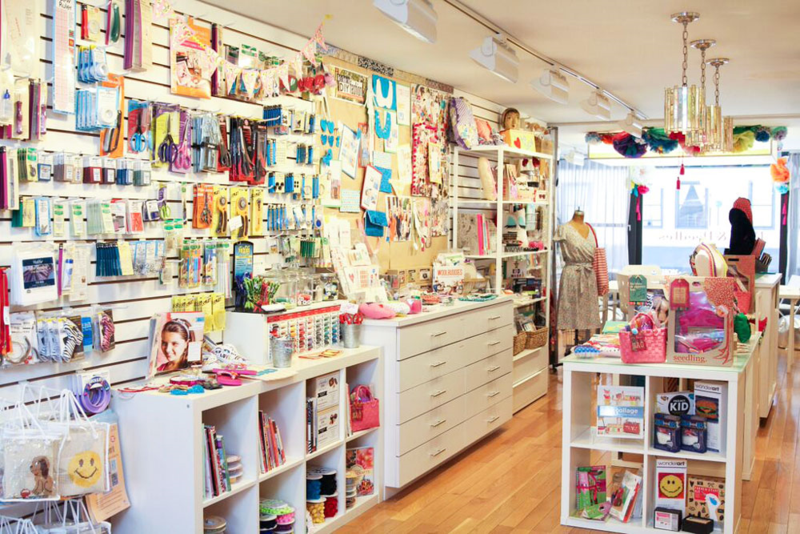 Pins & Needles is a fully stocked sewing shop–fabrics, notions and classes, oh my! Q: Please tell us a bit about Pins & Needles and how you started your shop. 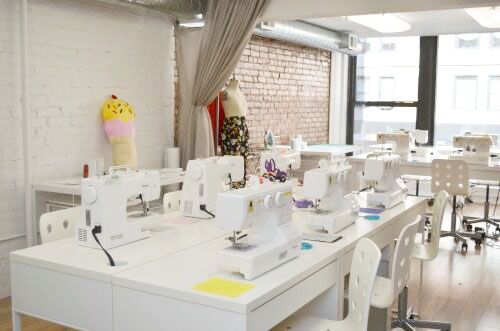 Pins & Needles is a modern sewing and crafting boutique and studio located in New York City. We carry an exclusively curated collection of fabrics, sewing notions, embroidery supplies and other creative materials. To extend the experience, inspire creativity and offer our community a place to indulge in the joys of making something by hand, we have a light filled studio where our classes, workshops and events in sewing and other crafting are held–for all ages and skill levels! 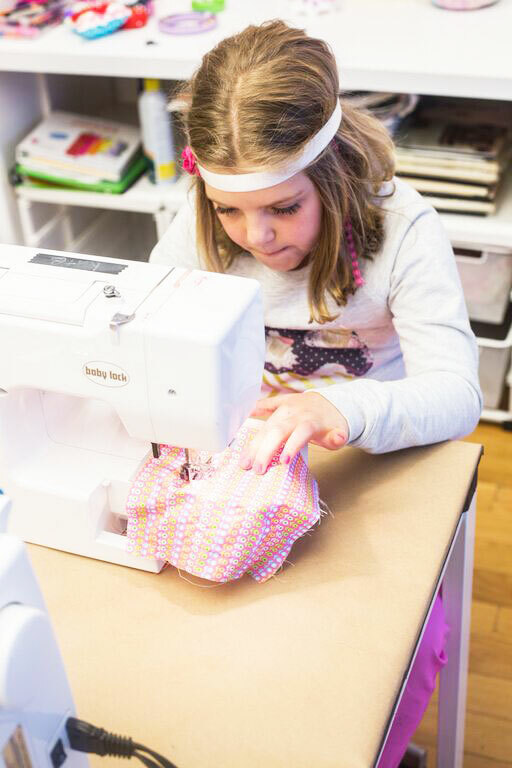 Our mission is to make sewing and crafting simple, stylish and fun. After a decade and a half in the corporate world, I was presented with an opportunity to re-invent myself and my career. 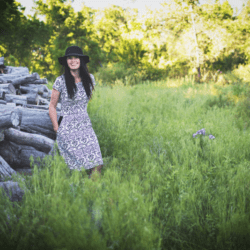 I made a conscious decision to invest my time and energy into something I loved–sewing, crafting and DIY. 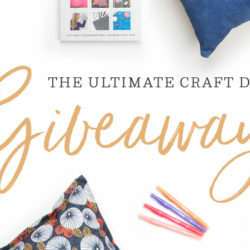 I discovered that there were no neighborhood resources where I could find unique fabrics, notions, craft supplies and, more importantly, no place to meet like-minded creative people to share my enthusiasm and passion for stitching, crafting and DIY. I left the daily grind behind for “Pins & Needles”. It has been and continues to be a true labor of love! l created a business plan, raised seed money and opened the doors to Pins & Needles NYC in 2011. Most recently I have been lucky to build a large community of girls (ages of 7 – 14) who are passionate about getting creative. 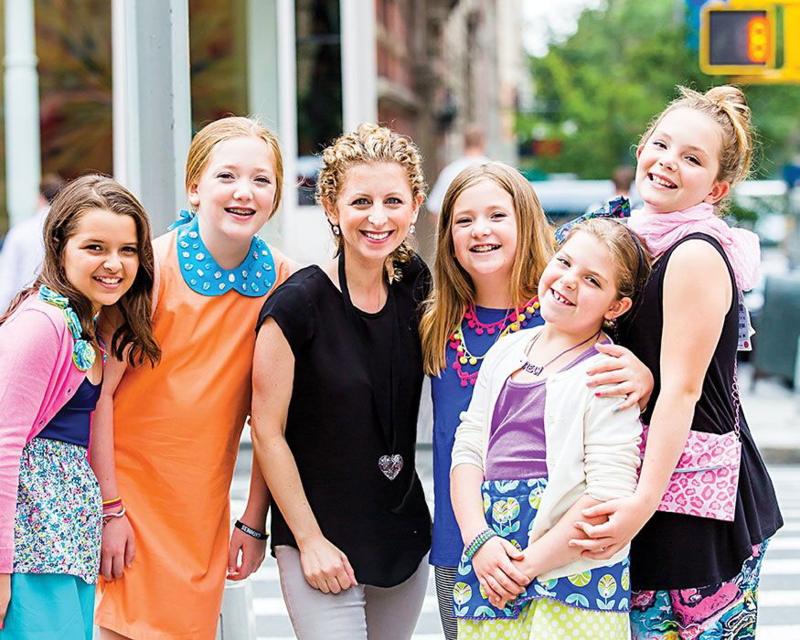 One of the best parts of my job is guiding and teaching these young girls who take classes with me–I am so excited to have the opportunity to nurture this new generation of stitchers. Time and time again, I hear from parents that I have given a tremendous gift to so many girls–what could be better? 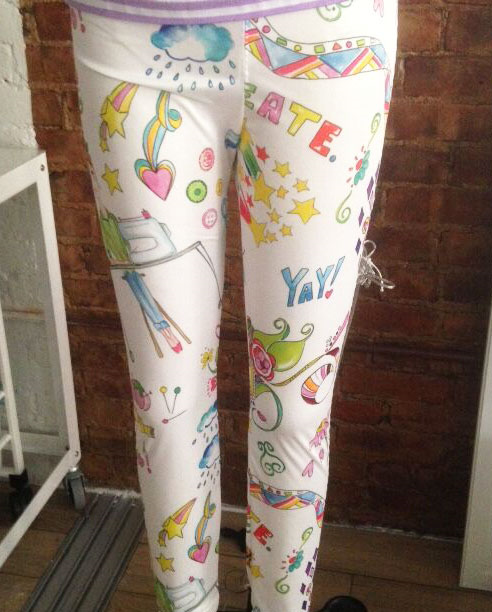 Q: How did the idea for The Girl's Guide to DIY Fashion come to be? 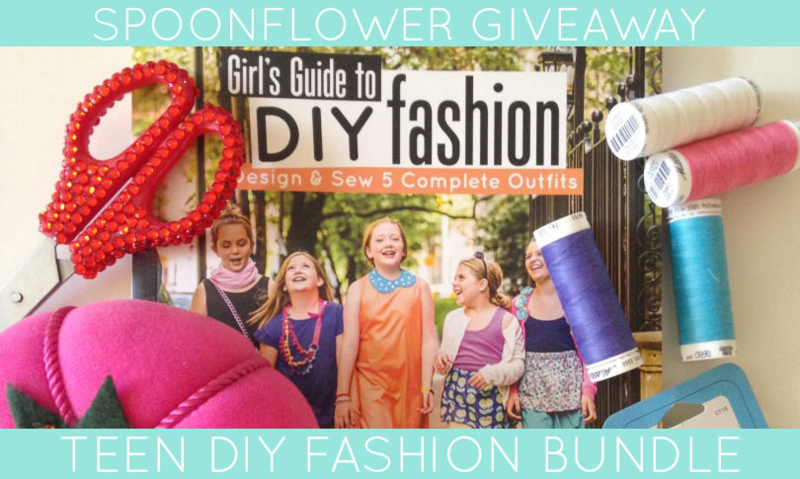 The idea to write Girl’s Guide To DIY Fashion was inspired by all the teaching I have been doing since I opened Pins & Needles with the growing community of young stitchers. Before opening, I was teaching lessons to a handful of students in their homes and then they started to come to P&N and what is now an exciting after-school creative education program began. 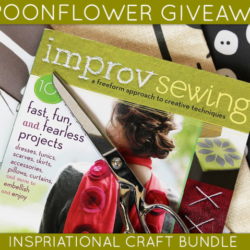 I was so excited about nurturing this new generation of young stitchers and being able to bring to life what I do everyday at Pins & Needles that I wanted to create a book that offered me the opportunity to reach more girls beyond the doors of P&N to get creative and explore how much fun sewing and DIY was! My goal with the book is to encourage girls to be creative, feel empowered to express themselves and what makes them unique, be confident, be proud and excited to be learning and exploring a new skill! 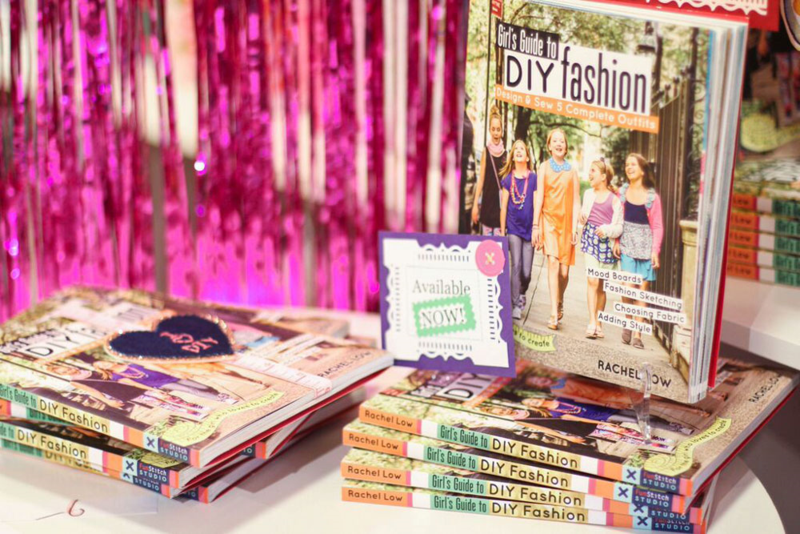 Rachel's Girl's Guide to DIY Fashion is available now! Q: Once you decided to write the book, what was your process for putting your ideas into action? Once I decided to write the book I got brainstorming and really thought about how I could ensure that the book really spoke directly to these “young girls”–I wanted the projects and voice to resonate with them, I wanted them to feel like the book was their “Creative Sewing & Style Guide”. In addition to presenting the steps to sewing (machine and hand-sewing) I wanted to add exercises that offered the reader (future stitcher) the chance to learn about the design process–so there is a section on how to make mood boards, fashion illustration, choosing fabric and adding elements of their own individual style! There are pages in the book where the reader can actually color in and draw their own designs!! They are actually personalizing the book. 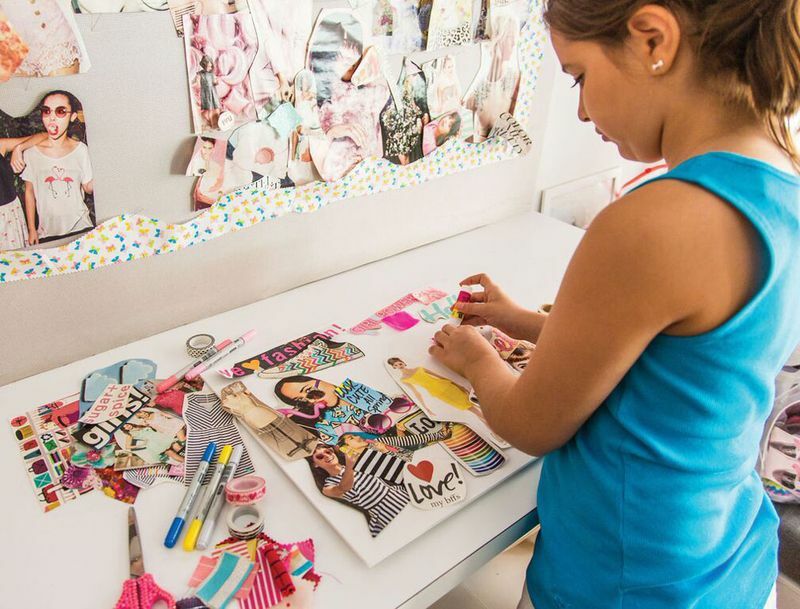 I organized the book into outfits that the girls would be able to wear to activities that they LOVE including going out with their friends, going back to school, going to a party and more would really appeal to them– each project can be made independently from the outfit as well. 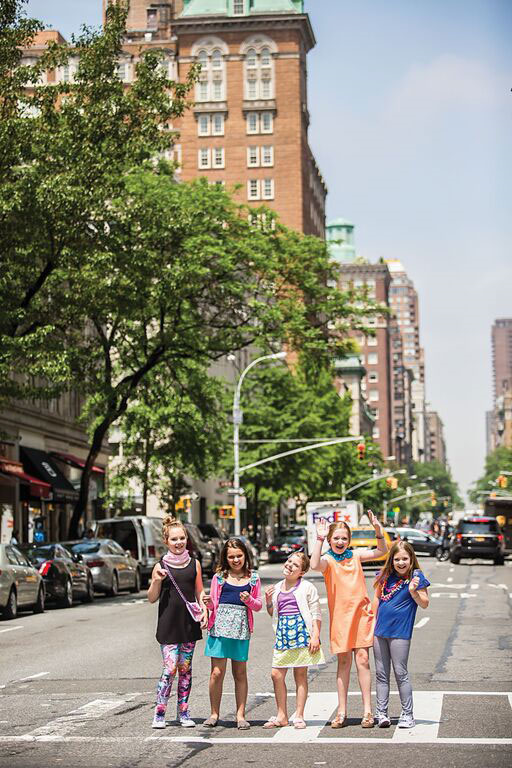 Sewing students take DIY fashion to the streets of NYC! Q: What has been your biggest inspiration in creating the projects in this book? My students and community helped to shape and inspire the projects – the real experiences I have with them everyday at P&N! Living in New York City, the fashion capitol of the world, also played a big part! 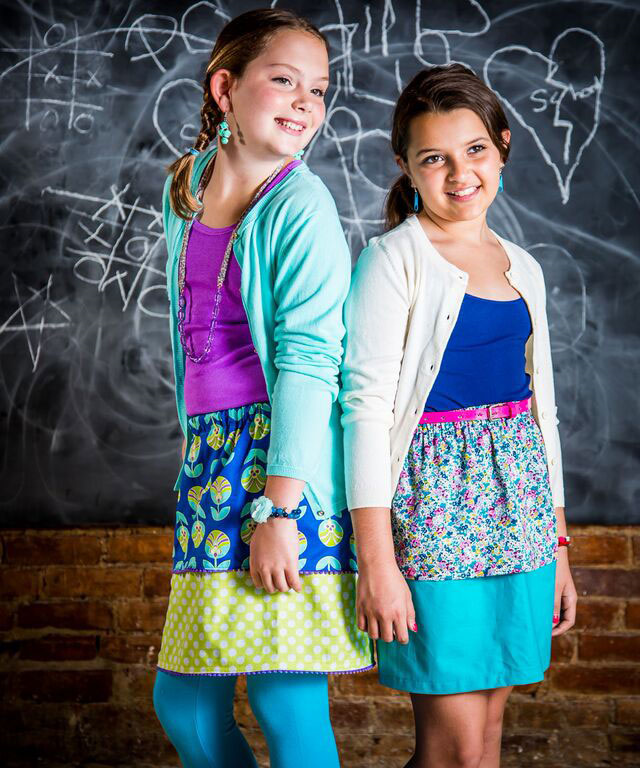 Also, not only are these girls the inspiration for the projects, but they are also the readers so this really helped me when designing the projects including the layout, how to present the steps, what fabrics and colors to use. Most exciting was being able to use “real students” as my models! Q: How can folks shop or take a workshop at Pins & Needles? For people who live in NYC and nearby areas we have an exciting line-up of classes, workshops and events that we are constantly updating–these details are all available on our website. We are also currently updating our website to offer an edited collection of our fabrics and other exciting product offerings including some P&N kits so stay tuned. In the meantime, the book is available on Amazon.